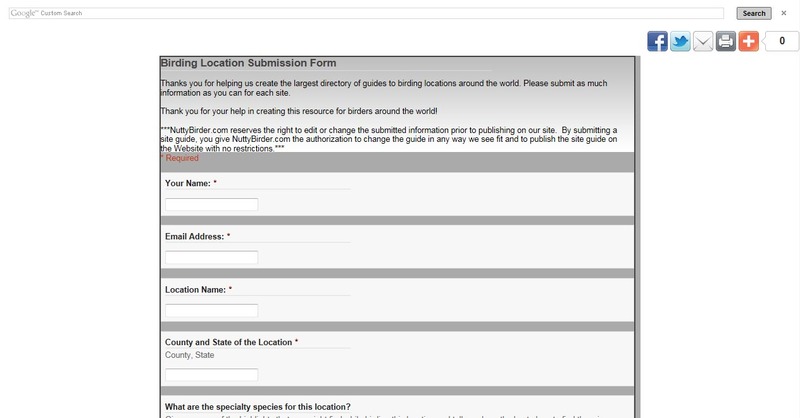 There is now a much easier way to add birding locations and information about birding locations on our website, NuttyBirder.com. 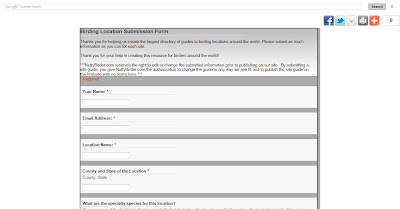 Now with as much or as little effort as you want to put forth you can add information that will help other birders have successful birding adventures. Keep an eye on the website for more changes to come! A screen shot of our new form. Click here to go to the live form!